When I retired from Coast Guard active duty in 2007, I made a promise to myself to build a boat. Purchased a pirogue kit and plans from Uncle Johns in 2008. Spending a few hours here and there, with some dedicated time during federal furloughs and shut-downs, and limited building space in a one-car garage, I finally completed and launched Pierogi on Sept 30, 2018. Great experience! WoodenBoat is a great resource for learning. 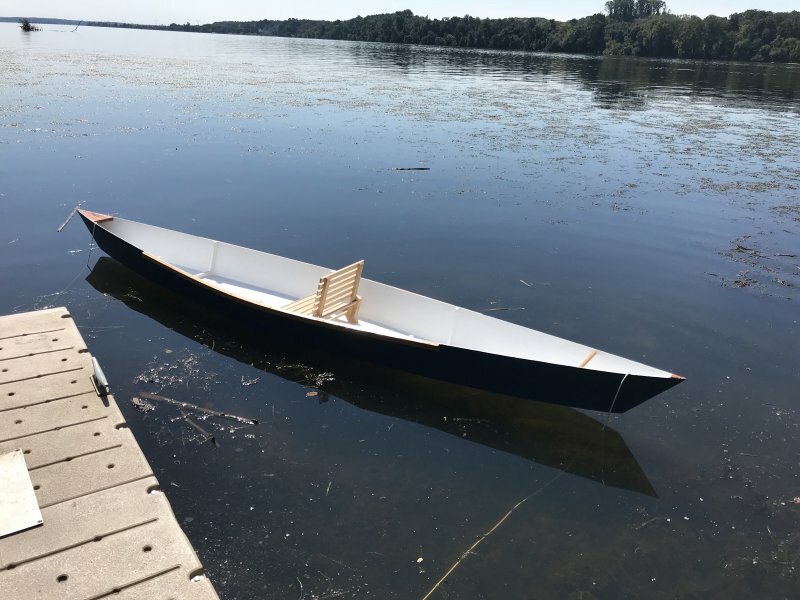 Looking forward to many hours of paddling and fishing in Pierogi as I contemplate building another boat to build my fleet (I also own a 17 foot center console).